Pensioners are becoming increasingly important in the South African economy, Mike Schüssler, chief economist at Economists.co.za, told Fin24 on Wednesday. 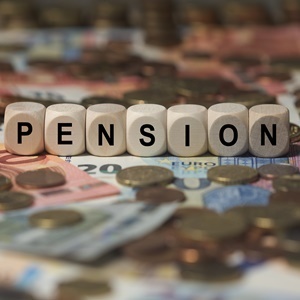 Interpreting data from the latest BankservAfrica Private Pension Index, he said banked private pensions in SA are growing at almost double the take-home pay rate. Schüssler said SA's population is growing at an estimated 1.7%. At the same time, the segment of people over 65 years of age is growing at 3.4%, making pensioners the fastest growing expenditure group in the country. At more than double the working age proportion of the SA population, pensioners will, therefore, become more important in terms of sales for the SA retail sector, he believes. The latest BankservAfrica Private Pension Index shows that banked private pensions continued to reflect growth throughout last year. In December 2018, the average real private pension was R6 855, a 3.5% year-on-year change. The nominal average value was R7 374 or an 8.8% change compared to December 2017. However, the comparison between 2018 and 2017 as a whole, shows pensions increased by 4.6%. The average real pension value after inflation was R6 880 per month for 2018, with R7 434 per month as the nominal value. Although pensions did increase faster than take-home pay, they are still less than half of its value, according to the index report. With an inflation average of 4.6% in 2018, the increase in private pensions was double that of the inflation rate, according to Shergeran Naidoo, head: stakeholder engagements at BankservAfrica. In Schüssler's view, SA retailers should try to tap into the spending power of the growing number of pensioners by creating special pensioner days or pensioner discounts. "Pensioners are always looking for a bargain, and retailers can use this market segment to fill up their stores during quieter times of the week, for instance," he suggested. He said, apart from people getting private pensions, most people in SA over 60 get old age grants. The two groups combined probably account for about 10% of SA's gross domestic product (GDP), he estimates, thus playing a very important role in the SA economy. In total, SA's pension assets are about the 8th largest in the world.